After partnering with Sony for Heavenly Sword, with Bandai Namco for Enslaved: Odyssey to the West and with Capcom for DmC: Devil May Cry, Ninja Theory decided to fly solo. The Cambridge-based studio is about to launch Hellblade: Senua’s Sacrifice on PC and PlayStation 4, roughly three years after the game’s reveal. While this is a character action game like their previous titles, Ninja Theory’s latest effort will delve deep into the subject of psychosis thanks to a collaboration with neuroscientists. 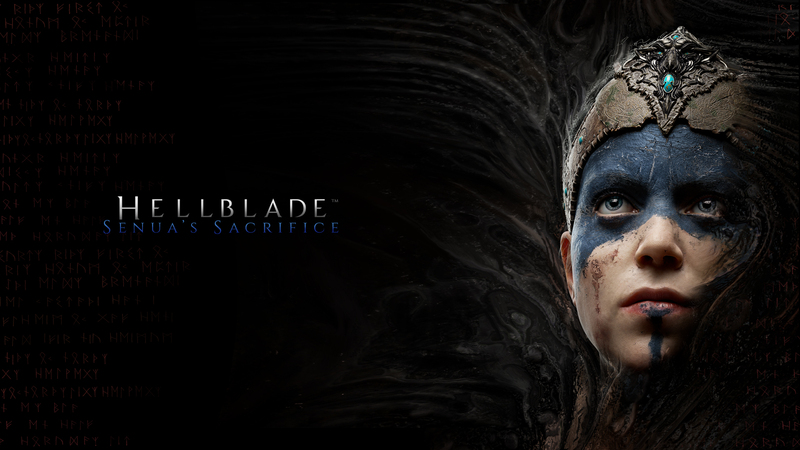 With the game now due for release early next week, we talked to Ninja Theory’s Co-founder and ‘Chief Creative Ninja’ Tameem Antoniades about the development phase of Hellblade as well as the company’s vision and plans for the future. Hellblade was announced at Gamescom 2014. Would you say that the game’s development was longer than you had originally anticipated? If so, why? Yes, it was about 9 months longer than we expected. Mainly because we had never tried to make an AAA-quality production like this with so few people. Even so, we pushed the quality far higher than we thought possible, we reinvented our facial and character creation pipelines, built our own performance capture stage, worked with Epic to create groundbreaking performance capture technology and made a game that was double the length of what we expected. As we are self-publishing the game, we were comfortable with extended the timeframe to make sure we could achieve these things. It’s been a while since you first pitched the concept of “independent AAA” to Ninja Theory fans while revealing the first info about Hellblade. Do you feel that other developers have already managed to publish games fitting that description and if so, which ones? What’s your outlook on the gaming industry from your point of view in 2017? I think there are a lot of developers out there who will wait and see how we do. There have been other games in this middle price point but still surprisingly few. One of the best examples is probably Soma which was a wonderful game and they’ve done a great service to developers by publishing their sales data. The more of us out there, the better and healthier it is for gamers and developers. Obviously, it may be too early to talk about this, but do you see Hellblade as a potential franchise spanning multiple entries? Also, if a big publisher came knocking at your door asking to create a new installment in a well-established IP, would you consider the opportunity or remain focused on independent development regardless? Although the Hellblade team is small, Ninja Theory is around 100 people and we are doing a mix of games including working with publishers. A healthy mix of established IP and new IP is where we want to be. Could Hellblade turn into a franchise? Never say never. I hope it’s a success so that we can at least have that choice to make. PC and PlayStation 4 both have VR devices available. Was VR support for Hellblade ever considered during development? Going forward, how interested are you in this new games market? VR is something we’ve been experimenting with and we’ve been using Hellblade as a testing ground. We released a VR scene from Hellblade online last year on YouTube and on the Oculus store. VR is most certainly going to be the dominant form of gaming. It’s just hard to see right now due to the bulky headsets, power and battery requirements. Every criticism against VR right now will be smashed by the time we get to 3rd generation headsets. Would you say that Hellblade is focused on combat more or less in comparison to your previous titles? Less so, I would say. There is still quite a bit of combat for sure but the game wants to take you on a journey, through a set of trials and stories and combat is still a big part of that but not the only focus. A while ago, while answering questions from the community, you seemed unsure whether there would be multiple difficulty settings in the game. What was your final choice in this regard? The game has an automatic setting which adapts to your skill level by default. The idea is that it will be challenging no matter your skill. In addition, there are the standard three difficulty choices. You had also expressed your interest in making modding available to the community a while ago. The number of Unreal Engine 4 games allowing mods is growing quickly: ARK: Survival Evolved, Conan Exiles, Squad and Robo Recall to name some. Is that something you might be releasing post-launch? I think the game has moved in a different direction now. It is a far more personal story-driven experience and I don’t think it lends itself to modding in the way I hoped it would at the start so that’s fallen away, unfortunately. But after DmC I will never underestimate the ingenuity of modders to work their magic with what they have. What was your experience with Unreal Engine 4, especially from the point of view of a studio with a limited budget? It gives independents like us to compete with large studios like EA and Ubisoft who develop their own engines. We cannot afford to have 50+ engineers working on engine tools while we make a game. And even if we could, we still wouldn’t because it makes sense for us to focus on the creative side of things. Will Hellblade feature support for HDR displays on PC and/or PlayStation 4? What are your resolution and frame rate targets on PS4? Is there official PS4 Pro support (outside of Boost mode) and if so, which enhancements can PS4 Pro owners expect? PS4 will be 1080p and PS4 Pro users have a choice between enhanced resolution (1440P) or 60hz. What kind of PC will be needed to play the game at 4K and 60FPS? Also, will the frame rate be capped at 60 or uncapped for those using displays with higher refresh rates? PC users will have 21:9 support, 4k support and uncapped framerates. You would need an absolute beast to do 4k at 60. We don’t have recommended specs for PC yet but we will release these when we know.